The heavens have parted and our Dream Catcher Palettes in celestial shades have arrived. 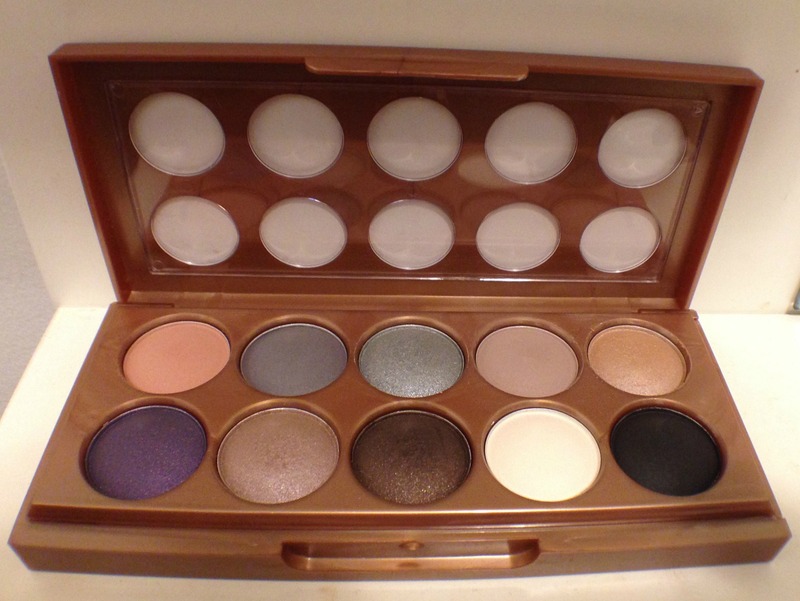 Each palette includes 10 majestic eye shadows that you can mix and match. There’s even a secret compartment on the bottom with a mirror and a dual-tip applicator! The funny thing is that I didn’t realize that there was a compartment until I actually read the little blurb on the website, haha! And you all know that the dual tip applicator will be going straight into the recycling bin! The Dream Catcher Palette is available in three different options: Golden Horizons, Dusk Til Dawn, and Stormy Skies. Without primer, the colours are faint and muddy – both the five matte and five shimmer shades. 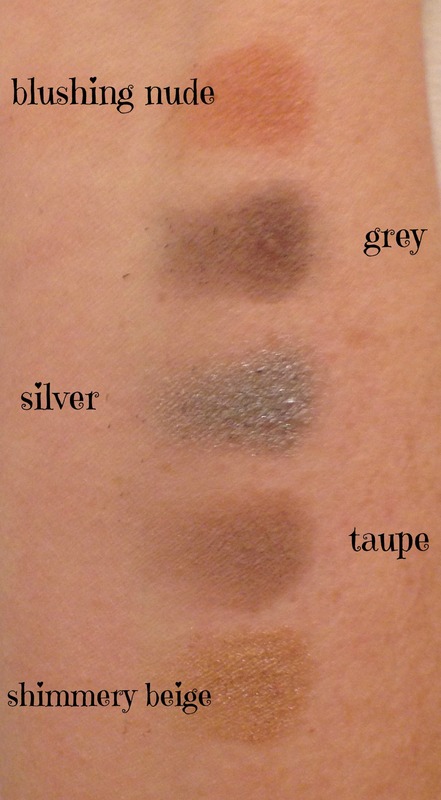 The eye shadows are not highly pigmented, but the colours are buildable if used over primer. Awesome review! I really thought the eyeshadows would be more pigmented too. I love the shades though. The shades are really pretty, but without primer, completely useless! They’re baked shadows so they show up better when applied wet. I have noticed the quality of NYX shadows in some of their palettes isn’t as good as their single shadows. Such great neutrals for an everyday eye look! I did a really great subtle smokey eye look with the silver and grey, and with the shimmery taupe and brown so far. Of course I didn’t think to take a photo though. Ooh that bottom compartment is like a secret hiding spot for… I don’t know what. But I do like the mirror for traveling. 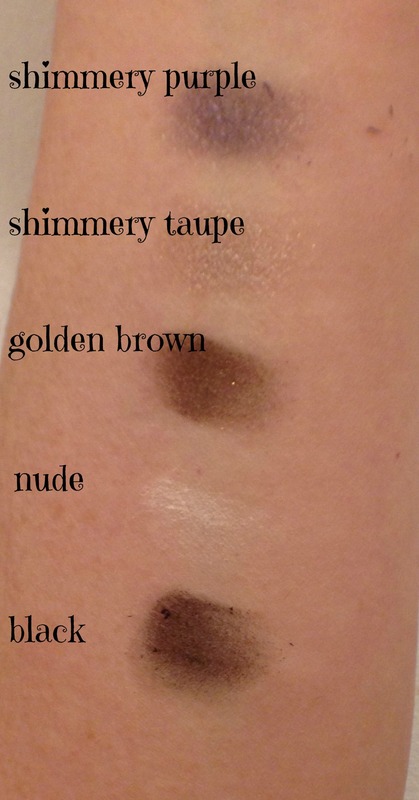 I find NYX eye shadows hit & miss – I haven’t tried any of their baked ones so I can’t comment. But of the regular line, I much prefer the singles over the ones in the palettes. The quality is night and day! My favourite shade from your swatches is that shimmery purple! This was the very first eye shadows from Nyx that I’ve tried. The purple is so much nicer in person than how it photographed, I had to take the photo in my bathroom since it was so overcast this afternoon. Shame they don’t work so well without a primer – I just don’t have the patience to use eye primers, but the packaging and colours are so gorgeous! 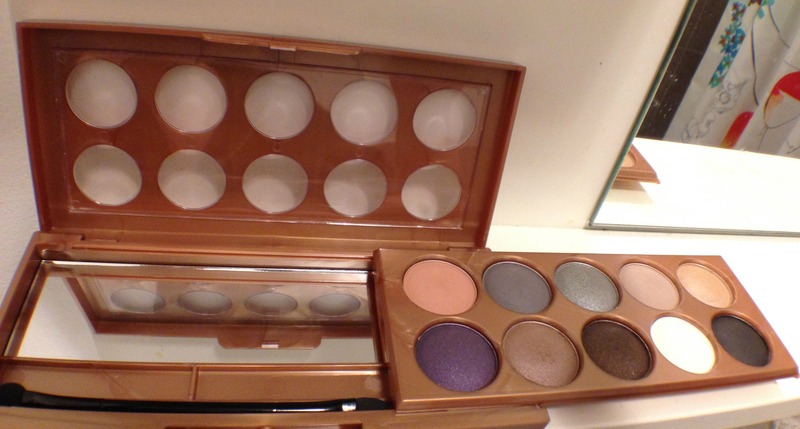 Great palette and the swatches are gorgeous and I particularly love the silver one. Hidden compartment looks really nice and fun: more brands should consider this. The bonus of a mirror yet you can still see the colors through the top: genius!